What's with Singapore's baby bump? Chinese New Year is a time for kinship, overeating and endearingly stilted conversations with people you know you really should see more often. But there is also nothing like a gathering of the extended family to serve as a reminder of the impending demographic crisis facing Singapore. My mother, who at 67 is old enough to have sung three different national anthems during her time in school, is the third of seven siblings. Between them, they produced 11 children, with my second uncle having the biggest brood. He fathered three during the 1960s and 1970s, when concerns about overpopulation led to the Stop At Two policy. At 30, I am the second youngest in my generation of 11. And yet, I have only three nieces and nephews. To put it more starkly, it has been over a decade since the stork last visited my mum's side of the family. 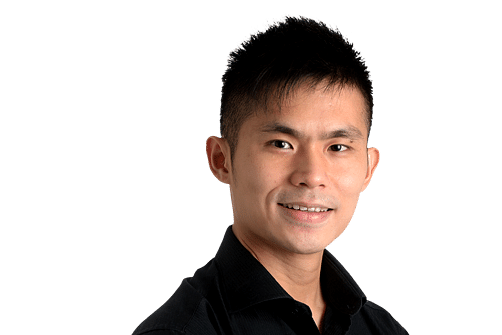 Like many other developed countries, Singapore has learnt the hard way that education and the modern lifestyle are the most effective contraceptives ever invented. Perhaps it is time for everyone to break out of the mental block that babies should be conceived only in the perfect scenario of a stable marriage and after careful planning by a couple who has enjoyed at least two years of marital bliss. Barring a dramatic reversal of attitudes, the country will be struggling to even come close to the replacement rate of 2.1 children per couple for a long time to come. As with many Singaporeans, the constant drumbeat of news about the dismal situation has meant that I have lodged it at the back of my mind. Once in a while, it floats up in my consciousness that running out of Singaporean babies could very well be our extinction event. But it is not human nature to want to tackle a problem that is far away and over the horizon, one that seems to be too large for a single individual to deal with anyway. A sudden, external threat can rally a nation. But a slow-acting malaise - climate change being a prominent example - eats away while people go about their daily lives. So, too, with the population issue. The 2006 film, Children Of Men, portrays a world that has suffered two decades of global human infertility. Instead of putting the best minds together to solve the problem, mankind descends into chaos and war, while society slowly rots away in despair. To its credit, the Government has been emphasising the joys of parenthood and family bonding instead of sounding the doomsday scenario to scare people into procreation. But Gen Y has not yet obliged with a resounding response to the numerous childbearing carrots over the years. The first years of the 2000s, when people of my generation entered their 20s, saw a sharp decline in citizen births, from 41,617 in 2000 to 35,337 in 2002. Last year's so-called bumper crop of at least 33,793 Jubilee year babies is the closest we have gotten to that number since. As for myself, just two years ago, I would have said an emphatic "no" to the question of having children. It seemed like a statement of fact, much like the answer to whether there are winters in Singapore. My evolving view on parenthood will hardly have women eager to start a family swooning over me. But in the eyes of the authorities, it is, at least, a shift in the right direction. But no. Real life is often unplanned. And real life is frequently messy. Sometimes, new life is brought into this world because a couple decides to forgo protection just this once for the heck of it and, come on, what are the odds? And sometimes, it even occurs outside of wedlock for this exact reason. It is not an ideal situation, but I have already seen this happen to people around me to know that life, well, happens. I believe that Singaporeans instinctively understand this. Which was why many cheered the news last year that the Government was reviewing some of the discrepancies in benefits that unwed mothers receive compared with their married counterparts. In the meantime, efforts will no doubt be made to continue to cajole, coax and persuade people to have more children. I do not know yet, but just three years ago, a hailstorm rained down on our tropical, sunny island.